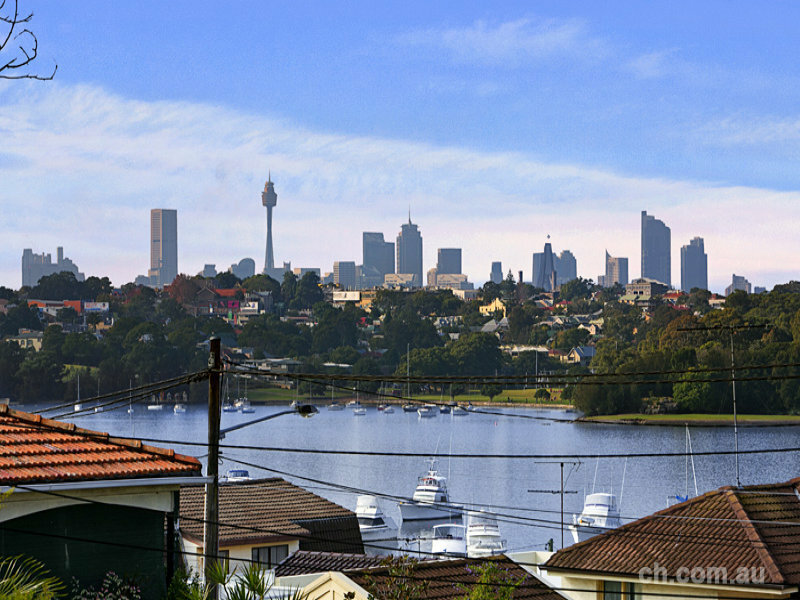 Drummoyne sits on the peninsula between Iron Cove and Five Dock Bay. 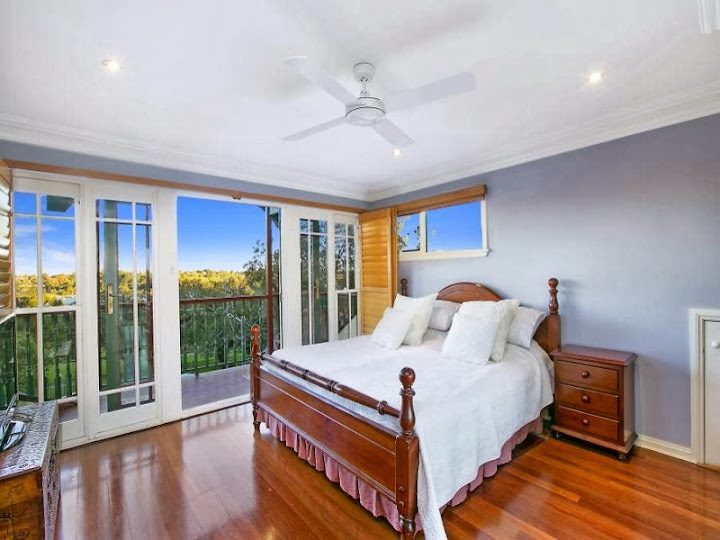 It is surrounded on three sides by Sydney Harbour and the Parramatta River and, as such, has some of Sydney’s best waterfront views. Drummoyne neighbours the similarly historic Five Dock and Abbotsford. Drummoyne was originally part of a land grant to Colonial Surgeon John Harris. In 1841 part of that grant between Thompson and Millar Streets was subdivided and advertised as “40 minutes row from Sydney”. In 1853, William Wright bought a large chunk of the subdivision and called it “ Drummoyne” after his family home in Scotland. The area remained a long row from the city until the 1880’s when construction of the Iron Cove and Gladesville bridges, and the arrival of the tram, caused a boom. Drummoyne’s new ease of access to the city, and its sublime siting by the harbour swiftly made it a desirable address. 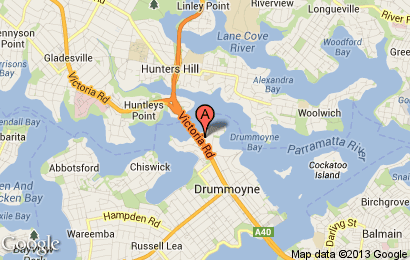 Drummoyne is linked to Rozelle by the Victoria Road and Huntleys Point by the Gladesville Bridge. Victoria Road, one of Sydney’s busiest roads, cuts through the heart of Drummoyne en route to the Sydney CBD. Victoria Road’s presence makes the CBD transport hub extremely accessible, as numerous and frequent bus routes from Sydney’s west merge in Drummoyne. However, it also leads to a bottleneck during the morning and evening peaks. The last few decades have seen many of the fine old homes, particularly on the waterfront, torn down and replaced with modern apartments and townhouses. 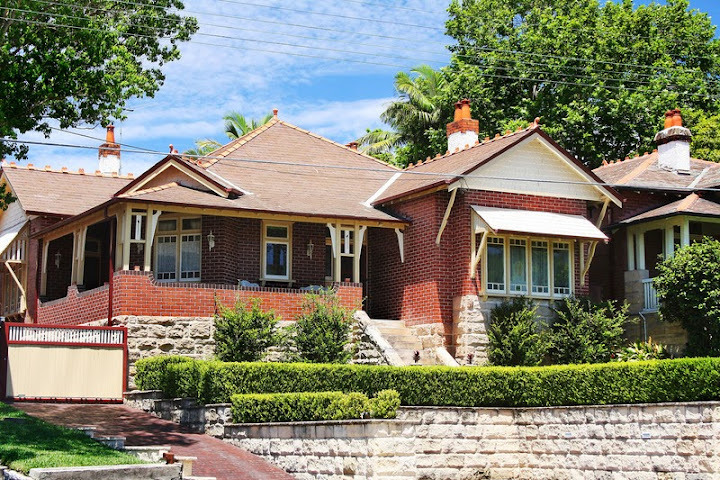 Luckily some of substantial old Victoria and Edwardian homes remain, along with the smaller semi detached houses that were built in the earlier part of the 20th century. 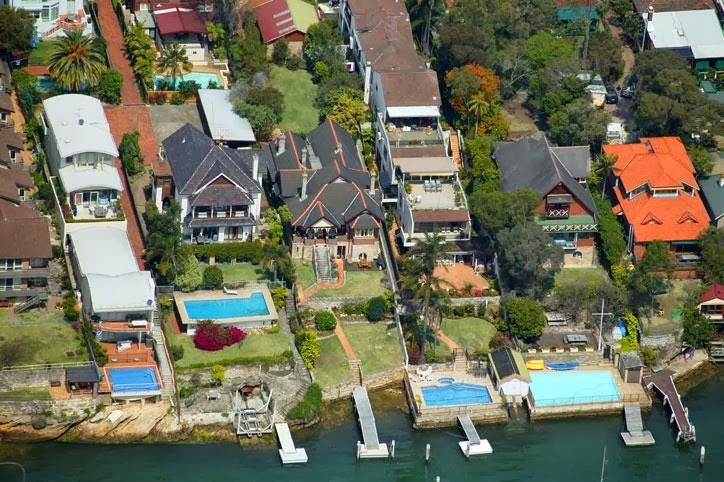 A five-bedroom waterfront property on Drummoyne Avenue with it’s own pontoon and slipway was the week’s most expensive sale, selling at auction for $3.833 million, according to RP Data. 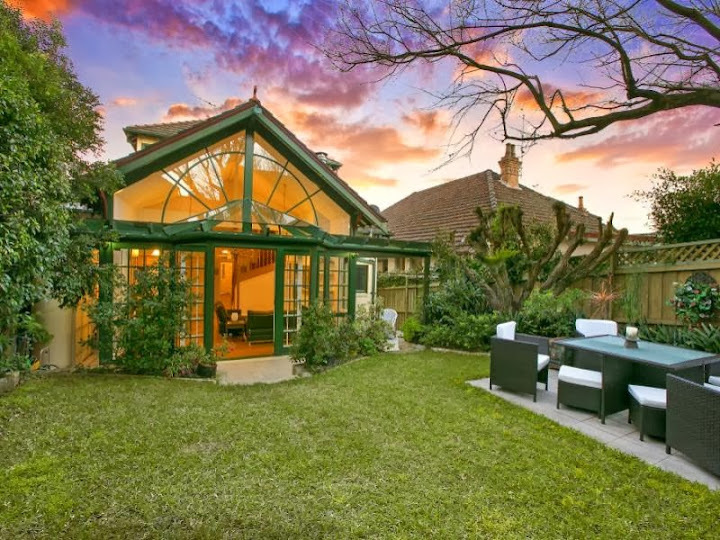 Situated on 1,242 square metres and only six kilometers from the Sydney CBD in Drummoyne, the property features an indoor spa room that leads to an outdoor pool and garden. The property was initially listed in 2009 for $4.9 million. It last traded in February 2001 for $2 million, after being listed for $2.2 million. 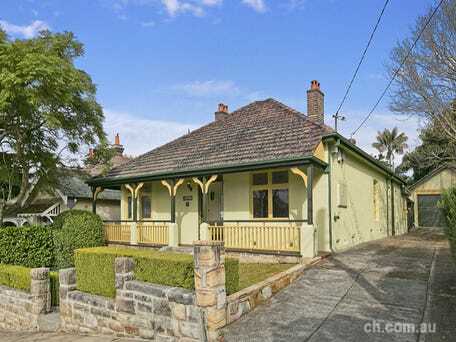 The best Federation house in Drummoyne was advertised without written description, but with four scenic tours! 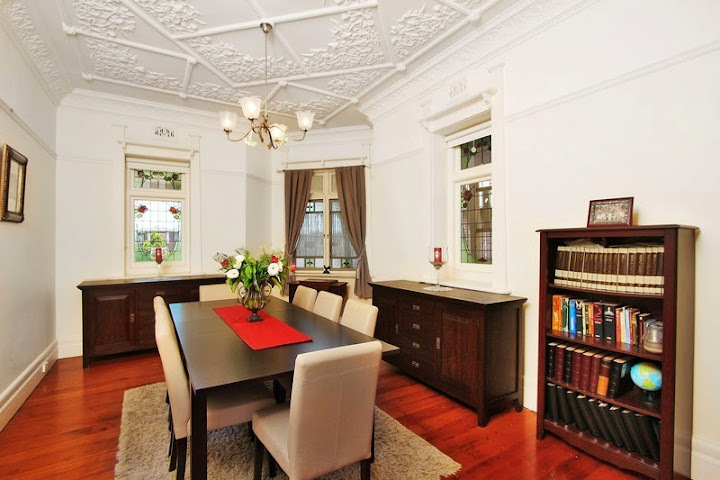 Ornate ceiling with Australian floral motifs, beautiful Art Nouveau leadlight, and polished floorboards. Superb presentation. Beautiful Art Nouveau arch, ornate ceilings, leadlight, floorboards, picture rails: edwardian white interior. A lot to love! One of a few grand, surviving Federation mansions built on the foreshore. Special local historical interest. Associated with a noted marine engineer Harry P. Young for whom the house was built and whose family lived in the house until the late twentieth century. 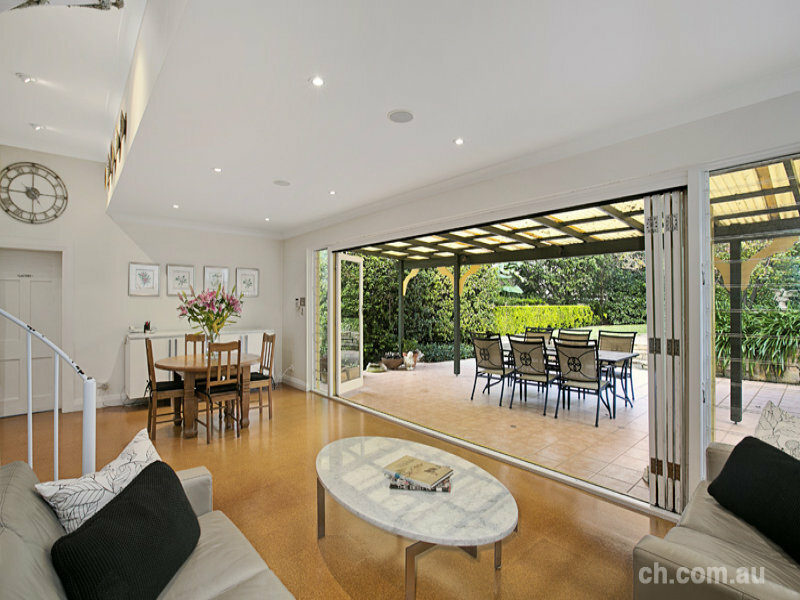 An outstanding example of a better quality Federation style suburban house which, because it is completely unchanged in both form and detail, internally and externally, is extremely rare. 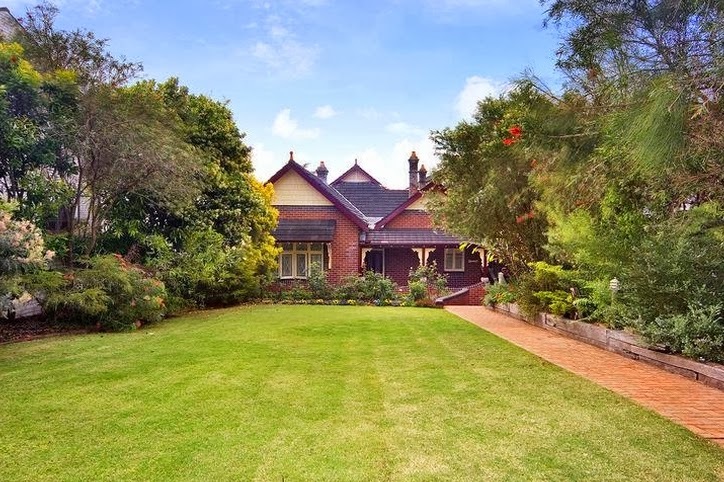 It stands in an early twentieth century garden in a fine position overlooking the Parramatta River. “Absolute deep waterfront with easy, level access to superb marine facilities, this magnificently restored substantial Federation residence resides majestically on 1473sqm of land commanding breathtaking views”. 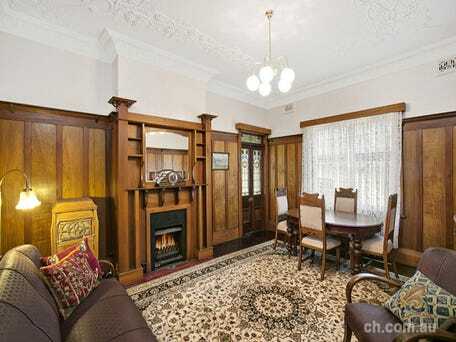 Here we see a Victorian arch and a Victorian fireplace, but Art Nouveau leadlight in the door set. 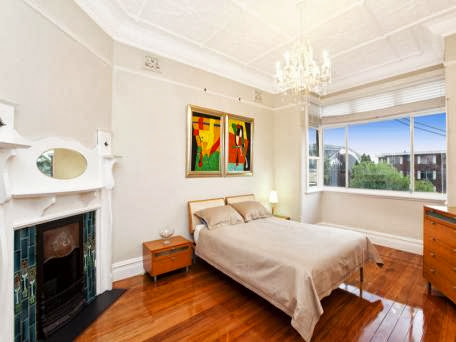 Prominently located yet ultra-quiet and private, the focus of this large refurbished period home includes multiple formal or casual living areas, light filled open plan kitchen with the flexibility of a parents retreat on the top floor with stunning city skyline and bay views. 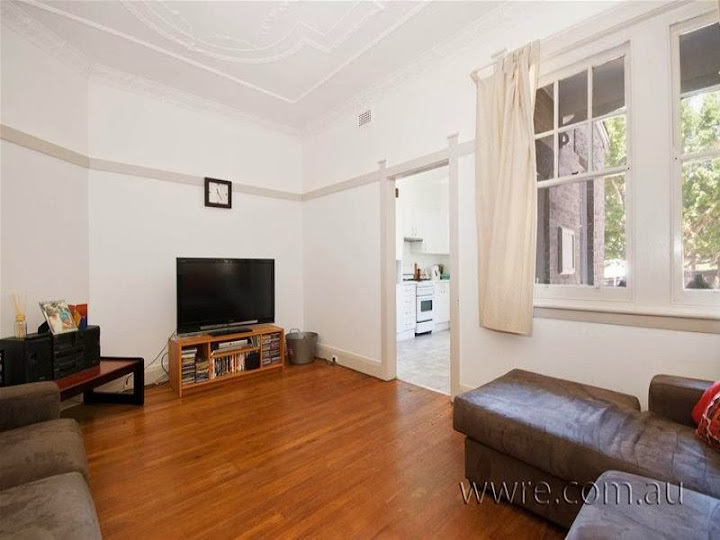 On the ground floor, three large rooms and separate entry is ideal for teenager’s space, in-law accommodation, and /or work at home opportunities. 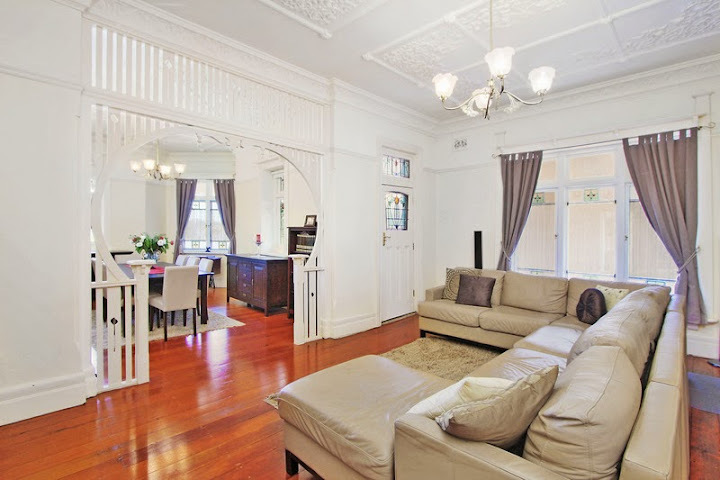 Featuring classical symmetry and a stunning facade, the home is not only central in location (opposite Brett park), but handy to buses, ferries for immediate CBD access, Birkenhead and the bay run. Art Nouveau inspired glass walled extension. 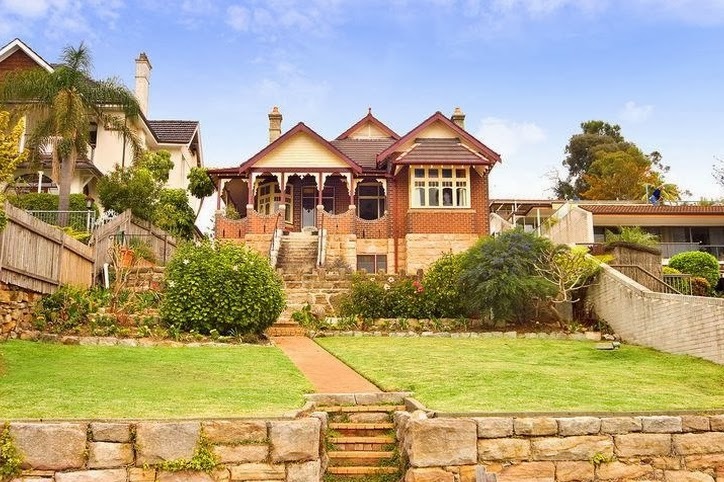 Built c1910 on a rare 690sqm parcel of land, the gracious ‘Gillendoon’ enjoys a commanding elevated setting affording stunning views over Iron Cove to the city skyline. 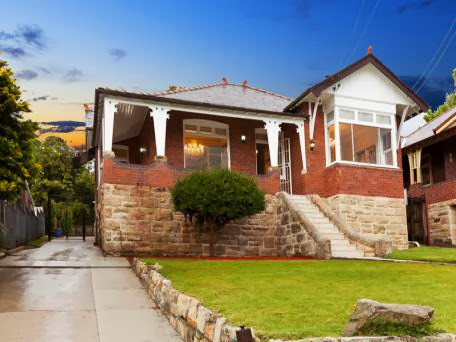 Positioned at the bayside end of one of the area’s best streets, a stone’s throw to Gipps Street Reserve and the famed Bay Run, it features an impressive 16m plus street frontage and extra wide side driveway. 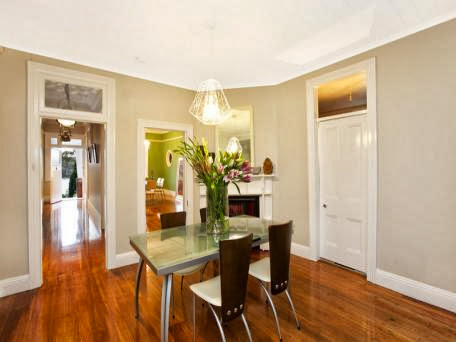 Blending classical charm with contemporary comfort, the interiors are graced with a wealth of refined original features and incorporate a spacious architect-designed extension and upper level ideal as a teen retreat. 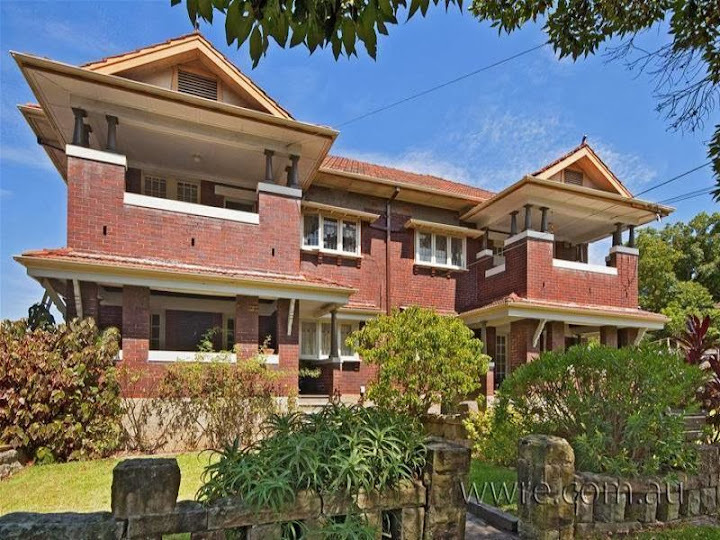 A very fine set of apartments in Bungalow style, (not Art Deco at all!) 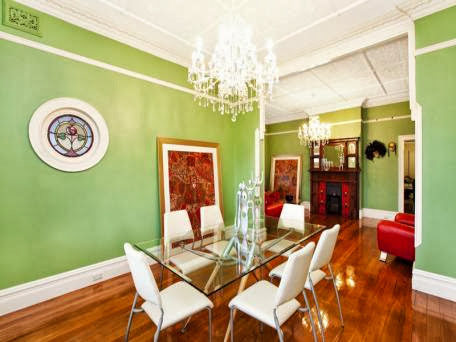 An entire block of four gracious and character-filled apartments, offered for sale in one line. 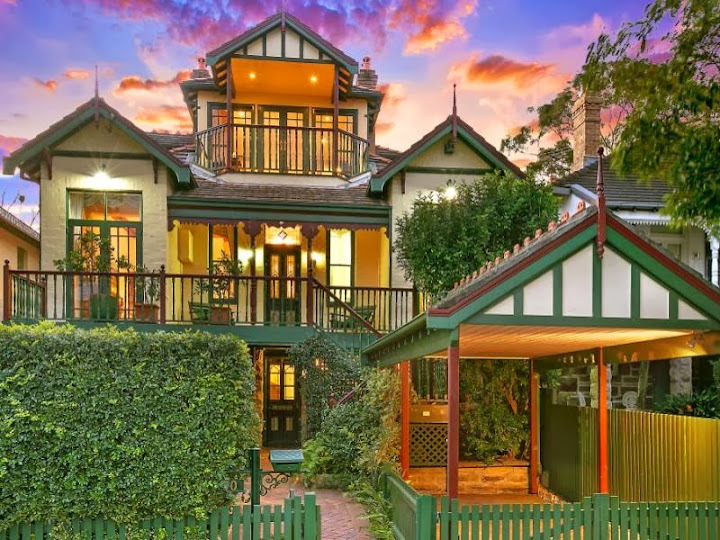 Each updated semi-style captures leafy glimpses out over Drummoyne Bay and is graced with original period features making them highly attractive rental prospects. Along with a private entry and front and rear verandahs, each features double parking and access to a huge common grassed garden. Timber picture rails, an Edwardian interior. 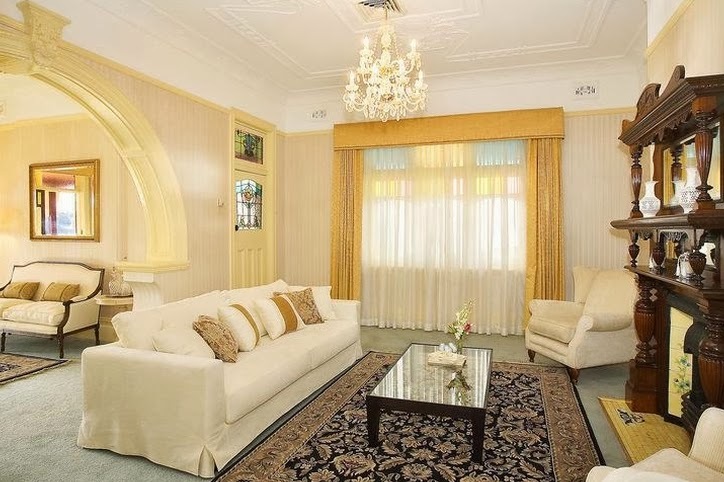 “The grand entrance hall leads to elegant formal living and dining areas, as well as light-filled casual spaces with superb indoor/outdoor flow from the family room through French doors to the generous verandah. 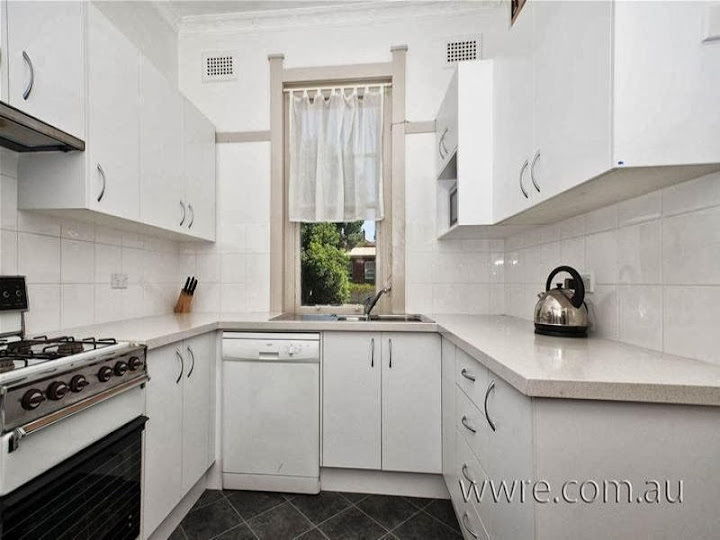 “Features of the spacious open plan country kitchen include beautiful marble bench tops, ‘Aga’ style combined gas/electric oven, dishwasher, island bench and plenty of pantry/cupboard space.”A large laundry provides extra storage space and includes adjoining 3rd bathroom. “The main bathroom with decorative lead lights includes spa bath & separate shower. The second bathroom is conveniently located between bedrooms. 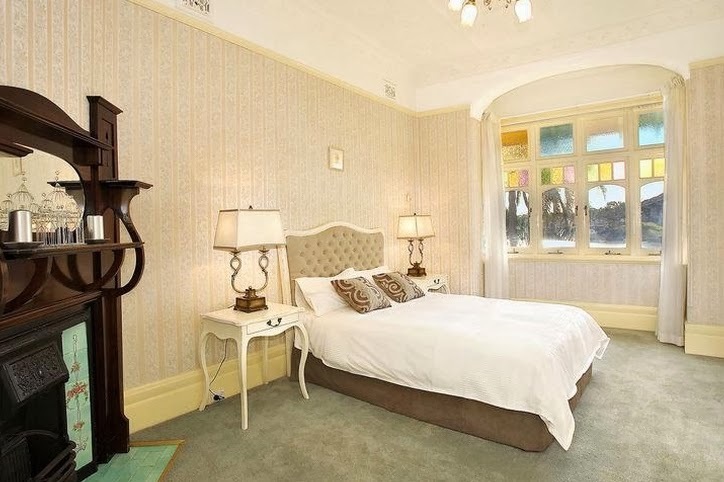 Plenty of accommodation is provided with four roomy bedrooms, all with decorative ceiling roses, cornices and picture rails. 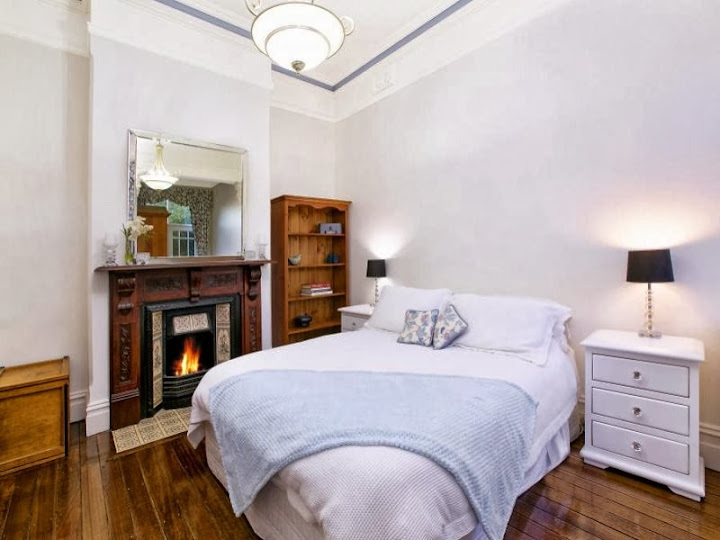 “The 3rd bedroom includes pull down stairs to attic storage; the main and 4th bedroom/study offer working fireplaces. “The main bathroom with decorative lead lights includes spa bath & separate shower. “The private level backyard with solar heated saltwater pool and immaculate garden barbecue courtyard is perfect for summer entertaining. Parking is via remote control gates. Exposed rafters of the modern addition match those of the front verandah. The chimneys and cupola are a Victorian style. 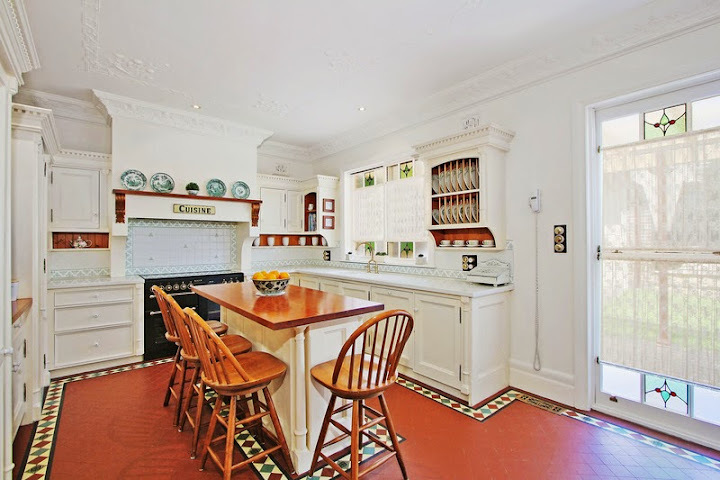 “A character home of style and charm, this generous Federation residence is a shining example of immaculately retained period details and sophisticated modern design. 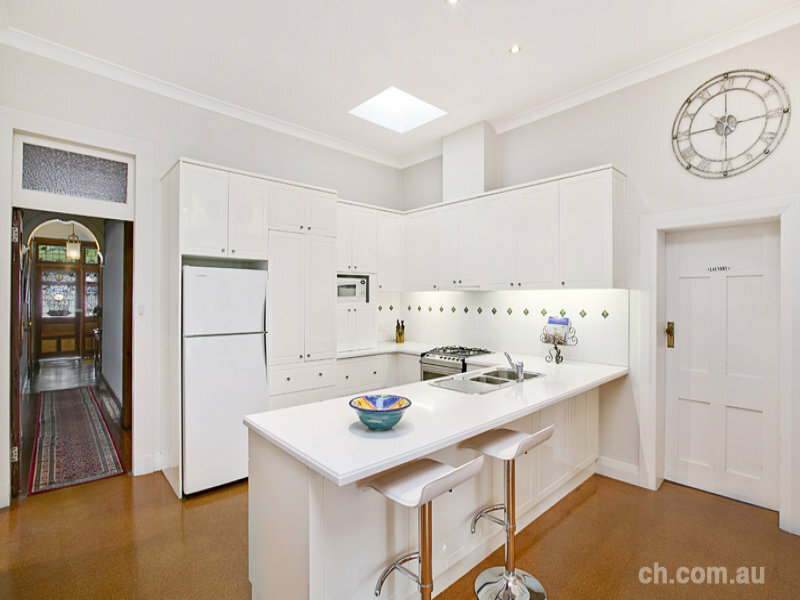 It provides a very relaxed and spacious family home in a great harbourside location. Federation gardens are typically sparse.